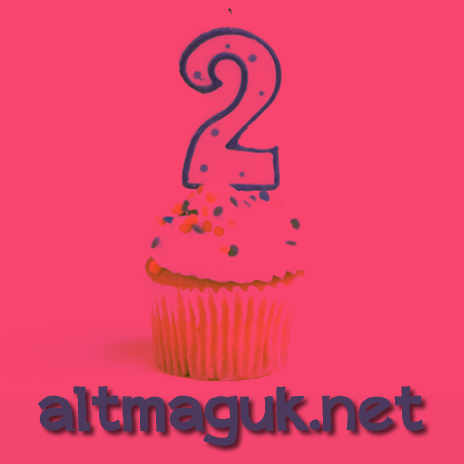 Alt:Mag Is Two Years Old Today! Well, what can I say. 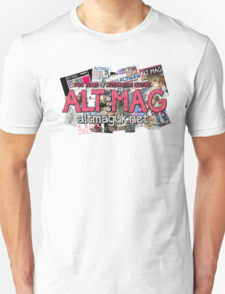 Happy birthday Alt:Mag. I really can't believe it. Two years ago I made a mock magazine cover just for a bit of fun (more about that here) and that venture eventually turned into this website. Look how far we've come. As I write this, the website currently has 78,707 views worldwide. Now that's something to be proud of. I told Sam about that magazine cover the day I made it. He said "let's do it" and we got Haydn involved. Later on, the website was created as a method of telling people how far along the magazine was coming, and then that turned into the full time thing. A lot has happened in these past two years, and you can find out more here. So what have I really got to talk about? I discussed most of what has gone on in the last two years in my 1 year anniversary post and the post I did on Christmas day. Well I think it is time to say thanks to particular people who have helped the website along the way. The entire Alt:Mag team - all you guys come and go with articles, but no matter whether you are writing or not writing, you still hold the dream down and never stop believing. Thanks guys. The Swordsaint Productions team - thanks for all the support and working with us to create the upcoming Alt:Mag commercial. Check their YouTube channel out here, their Twitter out here and of course Sword Saint Productions leading man, Mac's Twitter. All our friends - all the people who have shown a keen interest in what we do here on the website, you know who you are. Keep it real! All the readers - without you, getting as far as we have done would've been impossible. Hey, let's kick it and play Power Stone 2 sometime. Anyway, this next year for Alt:Mag is going to be the most exciting one yet. We've been thinking about new and exciting things to do with the website to spice things up a bit. In the meantime though, keep up your support by checking out the site, liking our Facebook page and following our Twitter. Live on and be yourself.